This booklet will help you achieve any goal, large or small. Plans can be carried through to fruition, but a number of vital steps must be taken, one after the other. You’ll learn what these steps are and how to apply them to anything – a personal ambition, a family, a group, a business and more. You’ll learn that your dreams can become a reality. 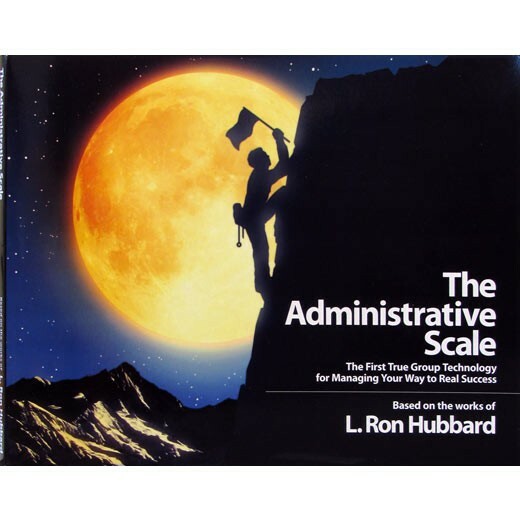 The Admin Scale provides the first true group technology for managing your way to real success. The achievement of your goals, no matter how large or small, relies on goals, purposes and activities being aligned and properly organized. Spiral bound. Cover is from card stock. Produced in the United States.